Are your state's rural areas losing political influence like Minnesota's? Population is concentrated around the Twin Cities. 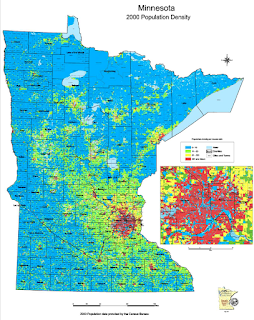 Here's a story that could probably be replicated in many states: "Rural Minnesota has lost influence on the state’s public and private policy decisions, according to a report by a nonprofit research organization," Tim Marema of the Center for Rural Strategies writes for the center's online publication, the Daily Yonder. The Center for Rural Policy and Development in St. Peter, Minn., didn't do a lot of fancy, detailed research to reach its conclusion. It simply interviewed about 50 interviews legislators, journalists and business, civic and policy leaders. "It also included an online questionnaire and a review of media coverage," Marema notes. So, who will write up the next state? Family farms need to think and act more like businesses, hiring and keeping the best employees through modern methods, to survive in an increasingly competitive world, Bernie Erven, professor emeritus in the department of agricultural economics at The Ohio State University, told farmers at the Growing Michigan Agriculture Conference. 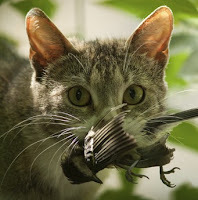 "The message may be a tough sell," reports Jessica Stoller-Conrad of NPR. "Family farms are an iconic American institution, and they make up nearly 96 percent of farms in America, according to the U.S. Department of Agriculture. And it's hard for some folks to hear that the best hire might not be your sister's kid who needs a summer job baling hay." If you need fast, accurate, up-to-date information on your rural community's demographics and economics, one of the best places to get it is the Atlas of Rural and Small-Town America, published online by the Economic Research Service of the Department of Agriculture. The atlas draws the latest data from the Census Bureau's American Community Survey, including age, race and ethnicity, migration and immigration, education, household size and family composition. ERS has added data about veterans, education, unemployment, income and other demographic characteristics. It also draws fresh economic data from the Bureau of Labor Statistics and other sources, including information on employment trends, industrial composition, and household income, and from USDA's latest Census of Agriculture, including number and size of farms, operator characteristics, off-farm income, and government payments. Users can see county-level maps for more than 60 socioeconomic indicators, and pop-up windows with all the indicators for a county; and download maps and other images for online and print publication. Here you can download a spreadsheet containing all the data for a selected county. Go for it! 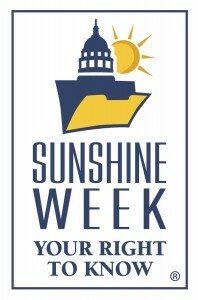 Sunshine Week, the annual observance to promote dialogue about the importance of open government and freedom of information, is set for March 10-16. It's always the week of March 16, the birthday of James Madison, father of the First Amendment. Postal service is 'what binds us together,' reporter writes after traveling with a letter across the U.S.
Lichtenstein writes a colorful story about how a letter mailed from Gold Hill, Ore., makes it to New York City, giving descriptions of each step along the way, from mail carriers to the postmaster general to the troubles the agency currently faces. 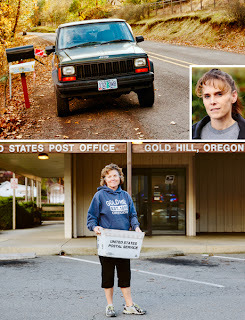 He begins with rural mail carrier Carrie Grabenhorst, who has developed personal relationships with the people on her route over 18 years of service in the USPS. She knows who's out of town, who's sick and can't make it to the mailbox, and who's going to be waiting on her when she pulls up in her right-side-driving Jeep. Her route is just one of the 227,000 across America, Lichtenstein writes. And all those carriers are delivering mail for less than 50 cents a letter. "It's how the postal service works: The many short-distance deliveries down the block or across the city pay for the longer ones across the country," Lichtenstein writes. The postal service's mission was always to bind the country together, from the very first moment that the Contionental Congress named Benjamin Franklin our first postmaster general in 1775, Lichtenstein writes. "It was a way of unifying 13 disparate colonies so that the abolitionist in Philadelphia had access to the same information and newspapers as the slaveholder in Augusta, Georgia." Today, the agency has a network of 461 distribution centers, 32,000 post offices and 213,000 vehicles, making it the largest civilian fleet in the world. "The postal service handles almost half of the entire planet's mail," Lichtenstein writes. "It can physically connect any American to any other American in 3.7 million square miles of territory in a few days, often overnight: a vast lattice of veins and arteries and capillaries designed to circulate the American lifeblood of commerce and information and human contact." But this fleet of "mail touchers" and carriers is facing a real dilemma. Postmaster General Patrick Donahoe "all but begged Congress to take action" to save the postal service last November, Lichtenstein reports. The USPS lost $15.9 billion last year and reached its legal debt limit. Mail was down 5 percent from previous years, and wages, benefits and other worker-related costs were at an unsustainable 80 percent of the USPS's $81 billion budget. More than 70 percent of the agency's losses were for "extraordinary budget obligations mandated by Congress," Lichtenstein reports. The U.S. economy needs vibrant rural communities to help get it back on its feet, says an Organization for Economic Co-operation and Development study. The report "also suggests that rural regions may not be struggling as mightily, and may have more potential, than previously thought," Agri-Pulse reports. The Washington, D.C., newsletter says the report may "give credence to Agriculture Secretary Tom Vilsack's most recent banner cry" that the country needs rural America's economy to be strong and politically relevant. The study wasn't restricted to the U.S. 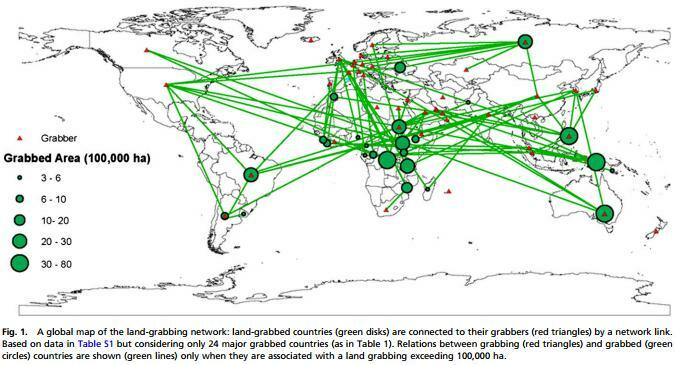 It found that rural regions generally had faster growth than urban places from 1995 to 2007. That finding should make rural places a critical part of larger economic development, U.S. Department of Agriculture rural development undersecretary Doug O'Brien said while presenting the report to the National Association of Counties. The results "run counter to the conventional wisdom that urbanization is good for all countries," said Jose Enrique Garcilazo, O'Brien's co-presenter and OECD regional development policy director. In fact, Garcilazo said that "there's something happening in cities to make them more inefficient" because "putting all the eggs in one basket is not good." Exurbs, places in metropolitan areas that are mostly rural in character, saw the most growth of all regions studied, Agri-Pulse notes. The report suggests specific approaches to policy that are fruitful for rural regions, including upgrading the low- skills human capital in local labor pools. The study also says that subsidies without incentives are ineffective in stimulating growth. Above all, the report noted that "successful rural regions come from cooperation and conversation between various rural stakeholders," Agri-Pulse reports. Agri-Pulse is available by subscription only, but a free trial can be found here. While Southern butterflies are moving north, more than 75 percent of species north of Boston, are rapidly declining, the study found. 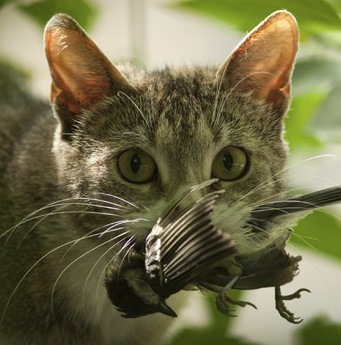 Species that overwinter as eggs or larvae are disappearing fastest, which suggests warmer winters may be the cause, Whitty reports. "For most butterfly species, climate change seems to be a stronger change agent than habitat loss," lead study author Greg Breed said. Habitat protection is a major step in protecting butterflies, but Breed said that for many species, "Habitat protection will not mitigate the impacts of warming." The news that a tiny town in southeastern Kentucky passed a gay-rights ordinance shouldn't be as surprising as many news outlets made it out to be, if you know Appalachia and small towns, writes Ivy Brashear as she leaves her post at the Institute for Rural Journalism and Community Issues, publisher of The Rural Blog. "Rural communities are often categorized as places where everyone knows everyone else, and in Vicco, that axiom is actually true," Brashear writes. "Knowing your neighbors on a first-name-basis, and having long-standing family and community connections, makes it much harder to cast a vote that directly discriminates against any one of them." "They were looking out for and taking care of their neighbors because that’s the way life works in the mountains. You just take care of each other," writes Brashear, a native of Viper, eight miles from Vicco. 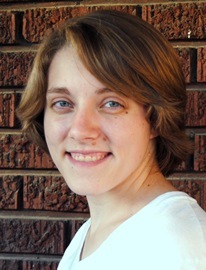 We're proud to have had Ivy on our staff and to publish her piece, which you can read here. Not only did poverty increase in the last decade, it became more concentrated. Rural poverty clusters are an increasing problem, but have gone largely unrecognized by society because the public has generally thought of such clusters as being an inner-city problem, geographer Tracey Farrigan and sociologist Timothy Parker of the USDA's Economic Research Service write for the Daily Yonder. They point to research showing that those living in poverty clusters face more challenges than if they weren't clustered: "Concentrated poverty contributes to poor housing and health conditions, higher crime and school dropout rates, as well as employment dislocations. As a result, economic conditions in very poor areas can create limited opportunities for poor residents that become self-perpetuating." 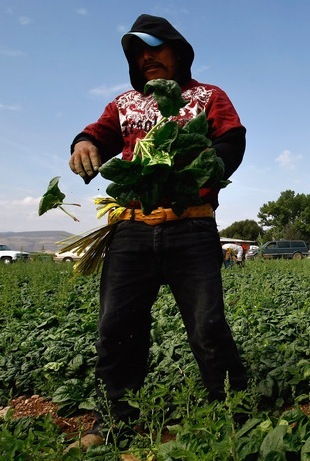 Farmers have relied on low-wage immigrant workers for decades, mainly those from Mexico. 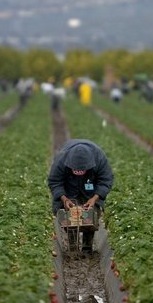 Seventy-seven percent of all farm workers in the country in 2006 were foreign-born. Cheap labor has helped keep food costs down, but the Mexican labor pool is "drying up," Plumer reports. The study, "The End of Farm Labor Abundance," says Mexico is getting richer, and when a country gets richer its level of agricultural labor shrinks. "Not only are Mexican workers shifting into other sectors like construction, but Mexico's own farms are increasing wages," Plumer writes. "That means U.S. farms will have to pay higher and higher wages to attract a dwindling pool of available Mexican farm workers." Congress is likely to remove direct payments from the Farm Bill later this year to cut spending, despite comments by House Agriculture Committee Chair Frank Lucas, R-Okla., that producers can definitely county on receiving the payments in October, Agri-Pulse reports. Direct payments have become a political target because they are paid to producers regardless of external factors, and we omitted from the Farm Bill that passed the Senate but died in the House last year. Pat Westhoff of the University of Missouri told Agri-Pulse it would be a mistake to assume the bill is written in stone right now, adding that some legislators might want to change it. Roger McEowen of Iowa State University said there was no guarantee that direct payments would continue, but producers who signed up for them would have an argument that the government would have to honor those payments even if the program ends later this year. Those who make that argument point to a 1996 Supreme Court case, United States v. Winstar Corp., about rules the government created and later repealed for failing thrift institutions during the savings-and-loan crisis in the 1980s. Three of the thrifts won damages for breach of contract. Low-income pregnant women in rural areas experience high levels of stress, but lack the appropriate means to manage their emotional well-being, according to a small-scale study at the University of Missouri. The authors suggest that rural doctors should link these women with resources to help manage stress, Medical Xpress reports. "Many people think of rural life as being idyllic and peaceful, but in truth, there are a lot of health disparities for residents of rural communities," Mizzou nursing professor Tina Bloom told Medical Xpress. "Chronic, long-term stress is hard on pregnant women's health and on their babies' health. Stress is associated with increased risks for adverse health outcomes, such as low birth weights or pre-terms deliveries, and those outcomes can kill babies." UPDATE, Jan. 31: U.S. Senate Republican Leader Mitch McConnell, also leader of the party in Kentucky, announced that he supports the bill, along with Democratic Rep. John Yarmuth of Louisville and Republican Sen. Rand Paul, Business Lexington reports. The dean of the state's congressional delegation, Republican Rep. Hal Rogers of southeaster Kentucky and the godfather of Operation UNITE, then announced that he opposes the legislation. UPDATE, Feb. 1: Bloomberg News looks at the legalities and economics of hemp. Some rural anti-drug law enforcers in Kentucky have announced their opposition to industrial hemp production in the state, reports The Winchester Sun. Operation UNITE (Unlawful Narcotics Investigations, Treatment and Education) is a southeastern Kentucky program that funnels federal money into small communities to help fight drug abuse. Its announcement of opposition to industrial hemp came on the same day the Kentucky Industrial Hemp Commission voted to support Senate Bill 50, which would legalize its production. A similar bill is pending in the state House of Representatives. The Kentucky State Police had already come out against the bill, saying it would make it harder for to enforce marijuana laws. "You have some prominent people supporting Senate Bill 50 and House Bill 33, but they are looking through rose-colored glasses if they believe hemp production would be a good alternative crop or provide an economic boom," UNITE Vice President Dan Smoot told the Sun. "Hemp is not in demand, would cause more problems than benefits and is currently not permitted under federal law." Nearly 120 years after Frederick Jackson Turner boldly proclaimed in his 1893 essay that the American frontier was dead, the federal government may expand the frontier with a new definition that would classify more areas as "frontier," Ben Terris of the National Journal reports. The possible expansion, which we first reported in December, has some legislators in mostly frontier states worried. Frontier is now defined as a county with six or fewer people per square mile. The new definition would redefine frontier in terms of an area's proximity to metropolitan areas, not by population density. HHS says this would allow counties with fewer than 6 people per square mile, but that contain a major city, to be deemed "frontier." For example, Coconino County, Arizona, contains Flagstaff, but most of the county's outlying areas of the county have fewer than 6 people per square mile. Those areas would be able to access certain programs and funding previously unavailable to them because the county's overall population density was too high. HHS says this will allow researchers and political scientists to more accurately categorize the country, Terris reports. More than 1.4 million people are employed as farm workers in the U.S. each year, and the Labor Department estimates that more than half are in the country illegally, with some farm groups saying that number exceeds 75 percent, report Janet Hook, Kristina Peterson and Laura Meckler of The Wall Street Journal. The Gang of Eight's proposal doesn't provide specifics about how the guest-worker program would change; it just recognizes agriculture's workforce needs and that changes must be made to help farmers. 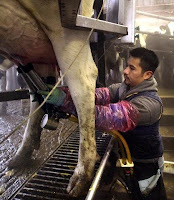 California farmers praised the proposal, saying it would help them more easily hire workers on which they rely heavily, Ricardo Lopez of the Los Angeles Times reports. "Farmers struggle to hire enough domestic employees, so they rely on foreign employees willing to harvest America's food," California Farm Bureau president Paul Wenger told Lopez. He said reform of the guest-worker program would allow immigrants to contribute to communities by working in farming. 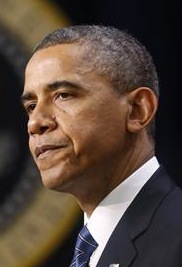 President Obama said today that the senators' proposals "are very much in line with the principles I’ve proposed and campaigned on for the last few years." 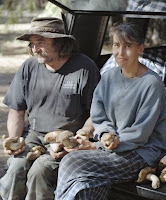 Johnson told Andrew Cullen of High Country News that he had little knowledge about the commercial mushroom trade until he went to the camps for the first time. 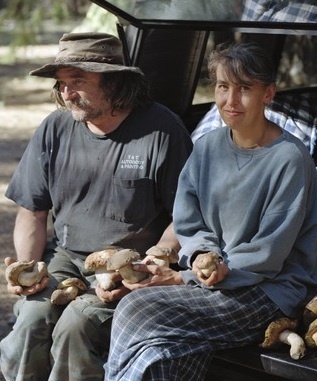 The story is less about the mushrooms and more about the people who pick them, he said: "If you're going to build a small shack out of tree branches and tarps in the forest and live there for three months, chances are there's a story to tell." It's not unusual for academic researchers at land-grant universities to partner with industries to get funding. But as oil and gas companies pour money into land-grant universities during the U.S. natural-gas and oil boom, questions about academic integrity research credibility are forcing schools to "navigate new ground," Joshua Zaffos of High Country News reports. Industry research money comes to land-grant schools at a time when government funding continues to decline. In 2010, the Center for American Progress, a liberal organization, identified more than 50 partnerships between universities and energy companies, with funding ranging from $1 million to $500 million. The partnerships "helped foster critical advancements in technology," the report said, but it warned the energy companies could have a "distorting influence" on research. A recent high-profile story about possible linkage between a professor and natural gas companies made news last year when the researchers ties to the industry were made clear. University of Texas professor Chip Groat accepted more than $400,000 in compensation from a natural gas company of which he was a director and owned more than $1 million in stock. The school withdrew the study from its Energy Institute website in December. 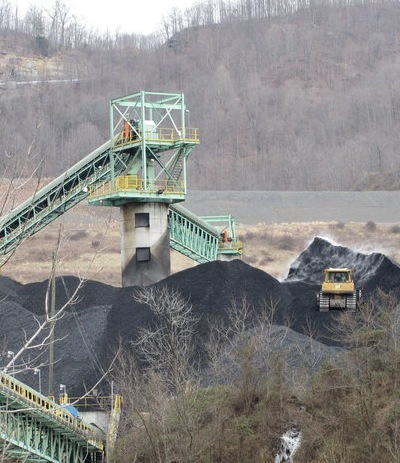 The decline in domestic coal production is catching up to mines in the Powder River Basin, which have for years dwarfed production elsewhere in the U.S. At least 300 jobs have been cut at mines in Montana and Wyoming since early 2012, according to Mine Safety and Health Administration data. Out-of-work Western miners are now scrambling to find jobs even as "global coal markets enjoy a heyday," The Associated Press reports. 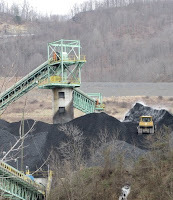 Experts say coal will surpass oil as the world's top energy source within the next four years, with the U.S. being the sole exception in that trend. It seems both sides in the gun-control debate are loose with their facts, report Robert Farley and Eugene Kiely of FactCheck.org, a project of the University of Pennsylvania's Annenberg Public Policy Center. Republicans' response to President Obama's plan to reduce gun violence has been rife with misleading claims, but so has a video from an anti-National Rifle Association group, which edited out key phrases in a campaign ad to support its position. When Obama announced his "ambitious plan" to curb gun violence on Jan. 16, several Republicans "immediately pushed back," FactCheck reports. U.S. Rep. Steve Stockman of Texas said more gun laws would lead to more violence, but FactCheck writes that the majority of academic research about gun laws has found no such link. Stockman also said that parents would face prison time for giving their child a hunting rifle under new laws, but Obama's plan says there should be a "common-sense" approach to guns given as gifts to family members, FactCheck says. Kiely also finds a number of inaccuracies in a video attacking Democratic Rep. John Barrow of Georgia for accepting "NRA blood money." The video, produced by the Coalition to Stop Gun Violence, selectively edits an old campaign ad in which Barrow touts his support for the Second Amendment and the NRA's endorsement of him. The group edited out all parts of the ad which explain why Barrow supports gun rights, including a statement about his father owning a rifle to keep his family safe. Barrow's father was a judge who supported the civil-rights movement. The Athens Banner-Herald reported upon his death in 2000 that he kept a rifle beside the front door as protection during legal battles over desegregation. "Part of being able to move forward is understanding the realities of guns in urban areas are very different from the realities of guns in rural area," Obama said. Trying to bridge those gaps "is going to be part of the biggest task over the next several months, and that means that advocates of gun control have to do a little more listening than they do sometimes." Vice President Joe Biden is leading a White House effort to open discussion about gun control and galvanize public support to pressure Congress to act on it. Past efforts to restrict gun ownership have been blocked by gun owners, the National Rifle Association and their Congressional supporters, Rampton reports. Ambulance calls in the state's oil-and-gas region increased about 59 percent from 2006 to 2011, North Dakota Health Department emergency medical director Thomas Nehring told Eligon. 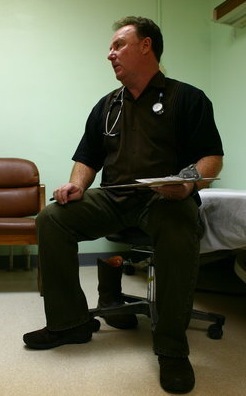 The number of traumatic injuries increased by 200 percent from 2007 through the first half of 2012, and the total amount of unpaid bills at the 12 hospitals in western North Dakota has risen by 46 percent during fiscal years 2011 and 2012, state Rural Health Association President Darrold Bertsch said. Expenses at those hospitals rose by 15 percent, nine had operating losses, and Bertsch told Eligon that this trend is simply unsustainable. Prescription painkillers containing hydrocodone should be placed in a more restrictive federal category, a Food and Drug Administration advisory panel of experts voted on Friday. The changes would be an effort to stem the tide of prescription painkiller abuse and addiction in the U.S., much of it in rural areas. Painkillers containing hydrocodone are the most widely prescribed drugs in the country. Sabrina Tavernise of The New York Times reports the FDA is likely to adopt the panel's recommendations, which include limiting access to hydrocodone drugs such as Vicodin by making them harder to prescribe. Refills wouldn't be allowed without a new prescription, and faxed or called-in prescriptions wouldn't be accepted. Only a hanwritten prescription from a doctor would be allowed, and pharmacists would be required to keep the drugs in special vaults. Heat rising from large cities might be warming winters in far-away rural areas, according to a Scripps Institution of Oceanography and National Center for Atmospheric Research study. Meteorologists have long known that cities are warmer than rural areas because buildings, cars, asphalt and roofs absorb heat. It was previously thought that the heat stayed close to cities.